Coal is the dirtiest fossil fuel and the biggest cause of climate change. While the United States has begun to move away from coal—thanks to increasing competition from cleaner sources of energy, stronger regulations, reduced electricity demand, and organized grassroots action—coal executives are scrambling to keep their profits high by other means: coal exports. In 2012, U.S. coal exports reached an all-time high—including in our region out of Baltimore, Maryland and Norfolk, Virginia, two of the nation’s biggest gateways for shipping dirty coal overseas. This increased export activity spells disaster for the global climate and for our region’s communities. Shipping more coal overseas will expand mining threats in Appalachia, overload rail communities with toxic coal dust and diesel soot, increase pollution of air and waterways near ports, and risk our families’ health. CCAN is working to block the surge of coal exports on the East Coast and keep this dirty, pre-historic fuel in the ground. See the “Costs of Coal Exports,” stories of Maryland and Virginia community members on the front lines of coal export impacts. As we export more climate-wrecking coal to Europe and Asia, we’ll also deepen environmental problems here at home. Each stage in the life cycle of coal—extraction, transport, processing, and combustion—generates a waste stream and carries multiple hazards for our health. Many of those hazards will affect us here, regardless of where the coal is being used. Norfolk: The Lamberts Point Coal Terminal in Norfolk, Virginia, already ships 28 million tons of coal every year—and is legally allowed to release up to 50 tons of coal dust into the air each year. Coal is found in soil samples as far as 7.5 miles away. Coal dust on homes, cars and businesses nearby is a common sight. The area has higher than normal asthma rates. Baltimore: The CSX and CNX coal terminals in Baltimore, Maryland ship close to 20 million tons of coal ever year. They are located in close proximity to urban communities in South Baltimore that already face an unjust burden of industrial pollution. Over the past three years, there has been a 50 percent increase in the amount of coal being exported from these terminals and that trend continues to go up with investment and financing from federal, state and local governments. On the routes to and from coal ports, rail traffic increases, crowding out other rail-using commodities, and cutting towns in half for hours every day. Soil along railroad tracks has also been found to have high levels of coal—and even arsenic, which is found in coal. A coal-train dust study in Virginia found that on average, a pound of coal dust blows off of each coal car per mile travelled. That’s a total of 25-50 tons of coal dust polluting rail communities from one single mine-to-port coal train trip. Ramping up coal exports would also make coal from Appalachia even more attractive. This would set back efforts to halt mountaintop removal mining and build sustainable economic alternatives that protect the heritage and health of local communities. From mine to train to port, CCAN is committed to holding the coal industry accountable to environmental laws meant to protect communities from the devastating impacts of its pollution. By challenging the financing of coal exports and the permits companies need to expand their operations, we can block, slow and raise the costs of East Coast coal exports. This will keep more coal in the ground and out of the atmosphere, and protect our communities from the negative impacts of the export process. U.S. coal executives are banking on overseas exports to offset the drop in coal-burning at home. But to stay below 2 degrees Celsius of global warming—the goal set by the international community to avoid catastrophic climate changes—we must keep 80 percent of existing coal and other fossil fuel reserves in the ground. We can’t let wealthy coal barons wreck our future for short-term profits. 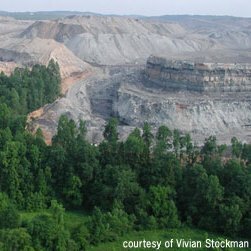 On July 31, 2013, CCAN joined the first-ever lawsuit challenging the federal government’s financing for the export of Appalachian coal from the United States. 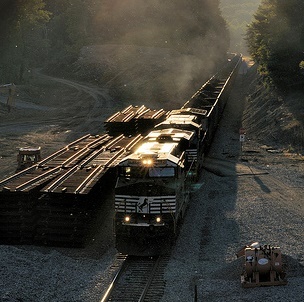 The U.S. government approved this financial support for coal exports without considering the increased toxic air and water pollution that could affect communities near the mines and ports, and along the railways that connect them. The groups include the Center for International Environmental Law, Friends of the Earth, Pacific Environment, Sierra Club, and West Virginia Highlands Conservancy, represented by Earthjustice. The lawsuit charges that the U.S. Export-Import Bank (Ex-Im Bank) violated federal law by providing a $90 million loan guarantee to Xcoal Energy & Resources without reviewing the environmental impacts as required under the National Environmental Policy Act (NEPA). According to Ex-Im Bank, the taxpayer-backed financing, approved on May 24, 2012, will help leverage a billion dollars in exports of coal mined in Appalachia. The coal will be shipped from ports in Baltimore, Maryland and Norfolk, Virginia to markets in Japan, South Korea, China and Italy. Factsheet: Exporting Coal – Exporting Climate Change: The threat of increasing coal exports from the East Coast. The Costs of Coal Exports: Stories from Communities Living in the Path of Coal Export Terminals. To get involved contact Jon Kenney, Maryland Community Organizer, at Jon@chesapeakeclimate.org. Listen to the WVTF Radio report (.mp3) by Sandy Hausman, 8/2/2013. “Lawsuit seeks to stop federal loan guarantee for coal planned for export from Hampton Roads,” Daily Press, 8/1/2013. Daily Press: Coal dust, piles an issue for southeast Newport News. Sightline Daily: Are Coal Export Terminals Good Neighbors? A closer look at coal dust. Think Progress: U.S. Coal Exports On Pace To Hit All-Time High, Fueling Surge In International Global Warming Pollution. This video focuses on the West Coast coal export threat, but provides a great overview of the issue relevant to our East Coast fight as well.